"Custom home near Choke Canyon Lake conveniently located midway btwn San Antonio & the gulf coast. Perfect getaway or your home. Open floor plan w/ soaring ceilings, built in bookshelves. Kitchen w/ ss appliances custom walnut cabinets, pot drawers granite counters w/ decorative back splash, smooth cook top, refrigerator & breakfast bar. All baths feature granite counters, custom cabinets & oversized walk-in shower. Cfs t/o, 2 blinds t/o. Huge owners retreat w/ walk in closet. 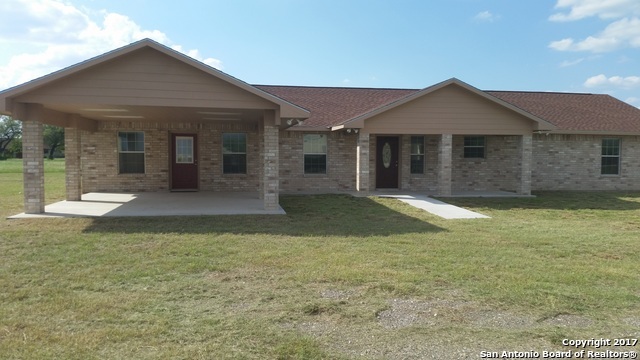 4 sides brick-cover"
"Wow spacious home sitting on paved road with easy access to Hwy 281. 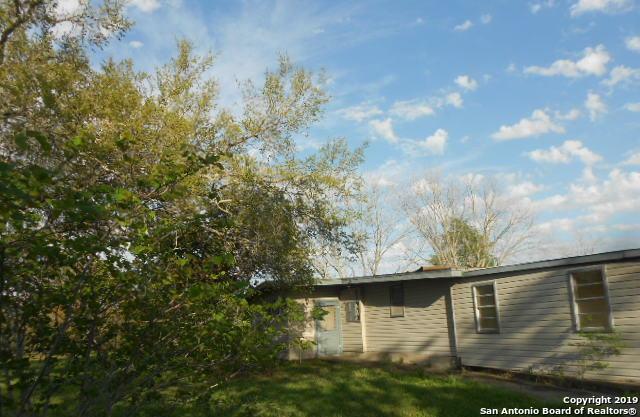 Nice level lot with outbuildings. Huge covered patio. Country living is where its at for this property."